Iceland – another European country located near the North Atlantic Ocean. Its capital is Reykjavik. Iceland is being characterized as full of mountains and glaciers. It was believed that the colonization of Iceland started when a Norwegian chief became the first person to settle in Iceland. Over time, Iceland became one of the wealthiest and most developed countries of the world. The flag of Iceland was officially detailed in a law on June 17, 1944. Although the original flag has a white cross on a blue background, the modern day flag has a red cross on top of a white background. Just like many other flags, the cross represents Christianity. One thing common among many countries is that it became their national flags after they achieved their independence. For them, the colors stand for the 3 elements that comprise their island. Red is for the fire that explodes from the volcanoes, white is for the ice and snow that covers the island, and blue is for the ocean. According to some legends, a red cloth with white cross simply fell from the sky. But we know what legends are – they are just theories. They are stories born from campfire socializing and passed from generation to generation. Unofficially, the flag had been used since 1913 as a symbol. It was on June 19, 1915 that the flag was officially adapted. On June 17, 1944 a law was passed regarding how one would treat the national flag. According to this law the use of the flag is a privilege not a right. Therefore a set of rules are instructions are made in order for the flag to stay in good condition. It also includes provision on how to treat the flag with respect. Anyone who disrespects the flag is subject to a fine or imprisonment. 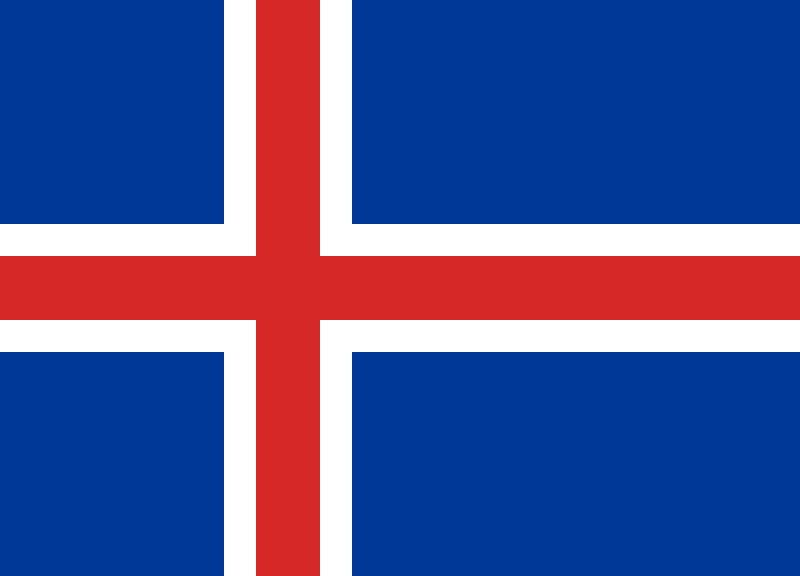 Like the USA, Iceland also had its own share of flag days. On these days the flags are to be flown from residential and commercial establishments. The only difference about this flag is that on Good Friday they put it on half mast.